While we admittedly don’t cover much in the way of education/university-related announcements, this one from Imagination this morning caught my eye. 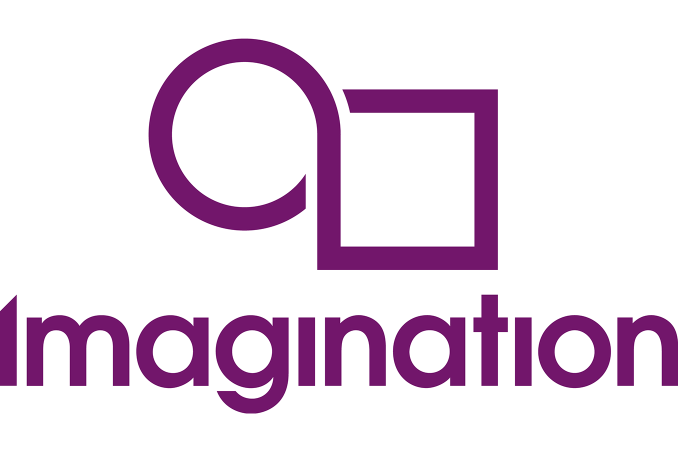 As part of Imagination’s ongoing university relations program, the company is going to be releasing the design to one of their MIPS CPUs to universities for use by instructors and students. In this day and age university sharing agreements are fairly commonplace, but what makes Imagination’s offer particularly interesting is that they’re going to be releasing a complete and un-obfuscated MIPS core, releasing the design to educational institutions with a very deep level of access and with very few strings attached in the process. The specific CPU Imagination is releasing is being called MIPSfpga, and is derived from the company’s microAptiv line, which is part of their lineup of embedded processor designs (think microcontrollers and the like). 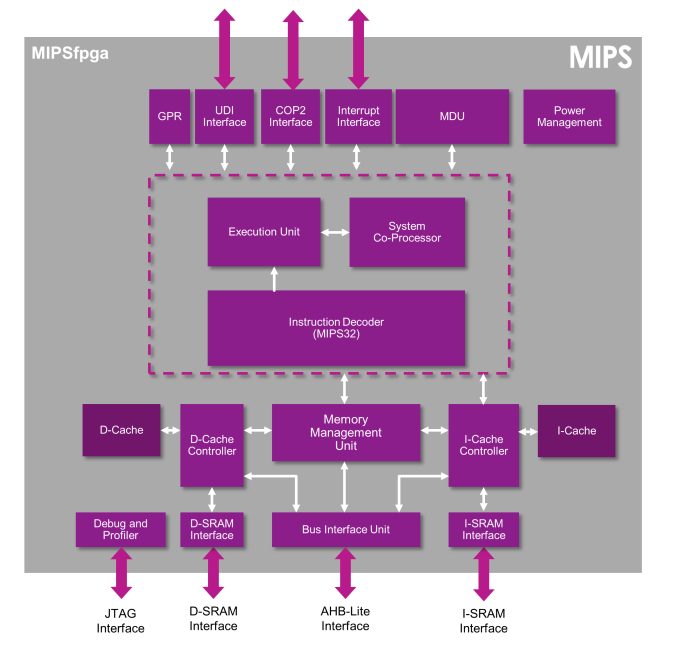 The MIPSfpga core, as implied by the name, is a customized microAptiv MPU core designed for implementation on FPGAs, with Imagination releasing the complete RTL for it. The design Imagination is releasing is among their fullest featured, and includes some otherwise optional microAptiv features such as an MMU and cache, which makes this processor functional enough to run Linux alongside more traditional real-time operating systems (RTOS). Along with the un-obfuscated design itself, the actual terms of the agreement are rather unrestrictive. MIPSfpga is meant to be used for educational purposes and cannot be put into silicon – preventing anyone from using it as a roundabout way to get a royalty-free MIPS design – otherwise the only limit applies to patents. Consequently, users are free to modify the design as they wish, and then those who wish to patent those changes need to talk to Imagination first. Imagination for their part is claiming that this is the first time anyone has released such a capable and complete un-obfuscated CPU design in this manner. And while we can’t confirm that no one has ever done something similar, certainly as far as we can tell no one has done something like this in recent history. Which would make this a very unusual release, and a big step up from more traditionally locked down and scaled down academic designs. From a high level perspective, Imagination says that they’re doing this for education purposes; to give universities access to a complete (and relatively clean) CPU so that students can see first-hand how such a processor works, without any of the internals hidden away from them as proprietary information. After all, MIPS traces its very roots back to academia as a Stanford project. But pragmatically speaking, MIPS adoption at the manufacturer level has been struggling in the face of a very strong ARM for some time now, so releasing a complete design to universities gives Imagination the chance to get students familiar with the MIPS architecture early. In any case, Imagination tells us that they will be releasing the design in the coming weeks. The very first release will be as part of an educators’ workshop in May. Otherwise Imagination expects to have it more broadly available in June, under a streamlined enrollment process on their university relations program website. What is the smallest FPGA this will fit on? The MIPS is a good one to learn CPU design and assembly on. I can confirm it's still used for teaching, and sorry this offer wasn't around when I was in that class. Why look at this fella here! It's an Open Sourcus Fanaticus... And a lively fella, full grown. And feisty! This time of the day, you'd normally find them coding away in their burrows, but this one came out to defend its territory! The fact that the two are related to each other, is clearly evident by the conspiratorial bent of many Open Sourcus Fanaticus. They're always on the lookout for corporate stooges, and often see schemes and machinations to attack them, set in motion by the evil capitalist overlords, that no one else can see. It's a popular myth, that it is this constant warfare, that is preventing open source solutions from winning mass adoption.